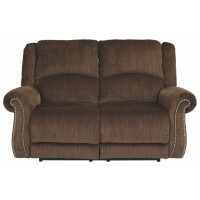 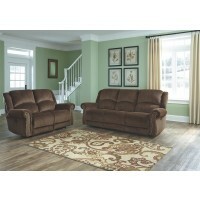 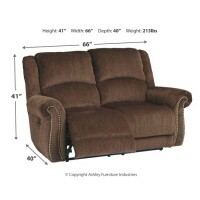 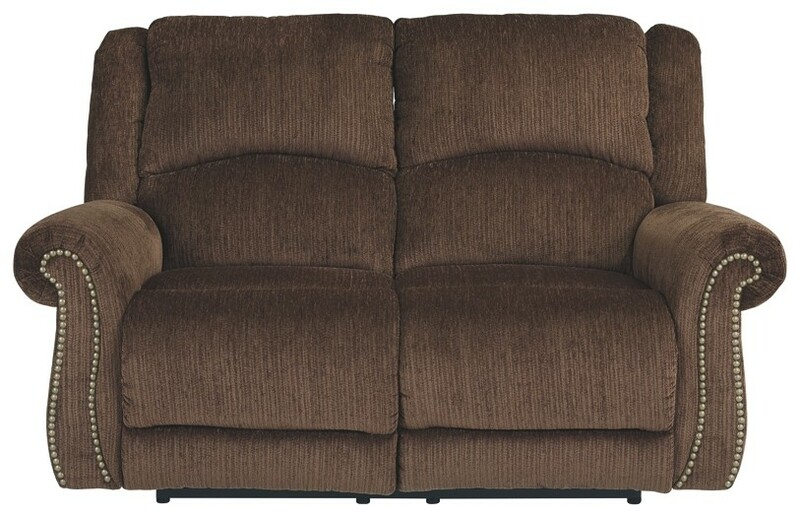 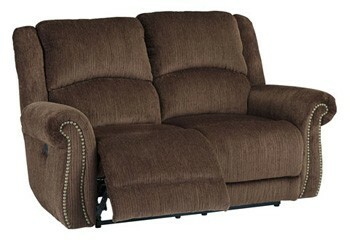 Soft and decadent like a fine piece of chocolate, this power reclining loveseat elevates the level of sophistication. 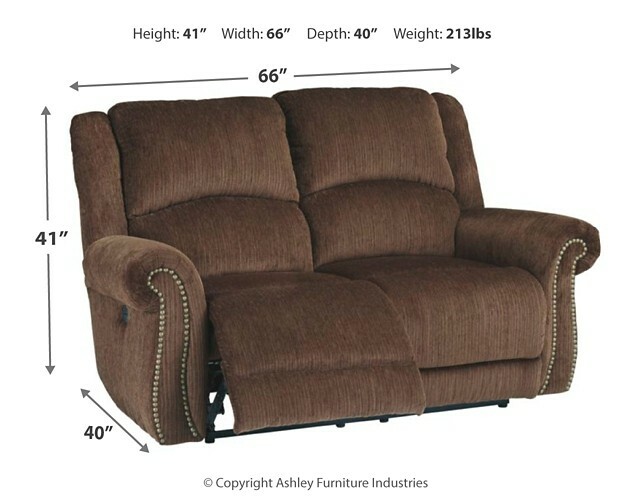 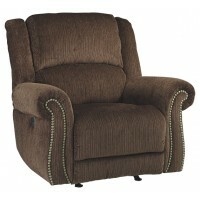 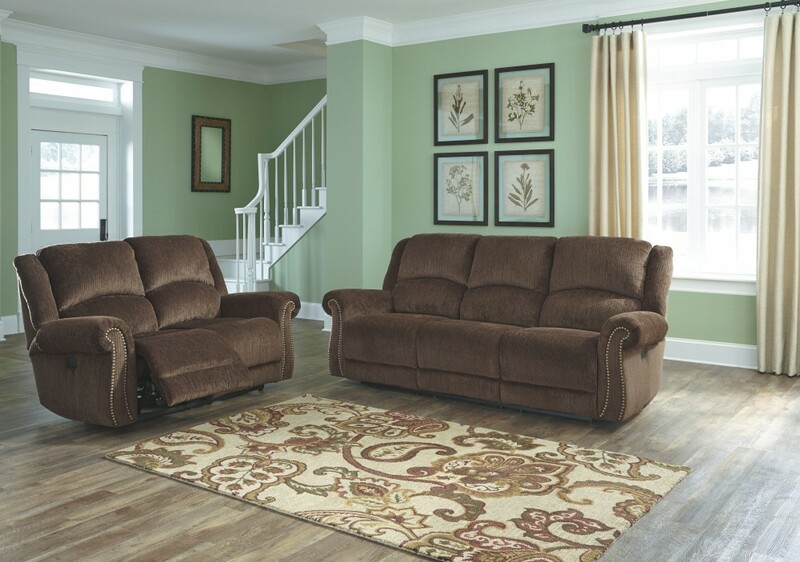 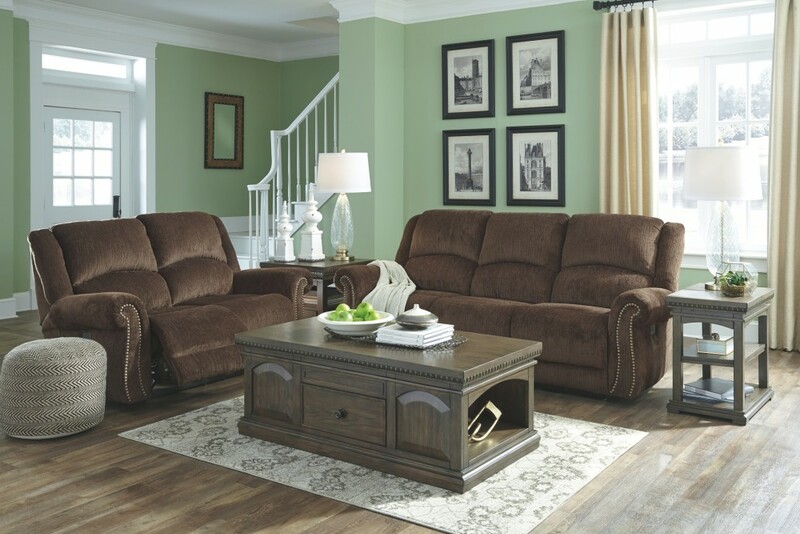 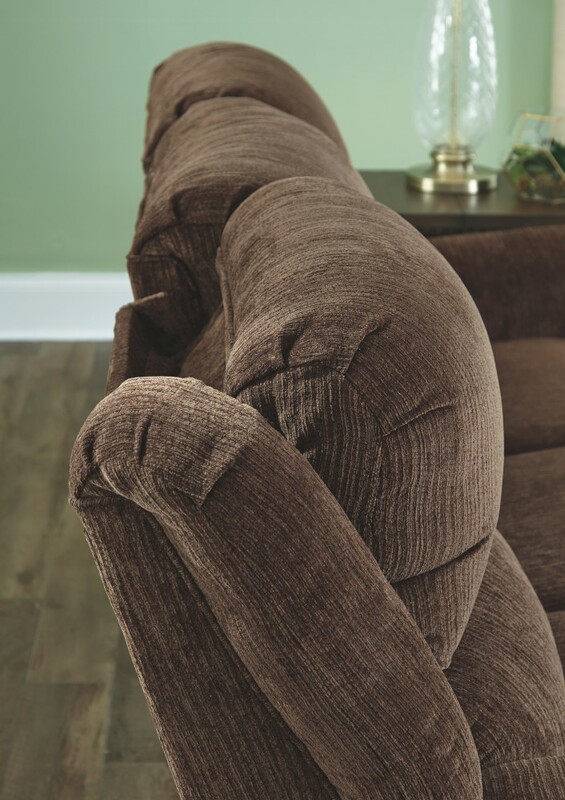 Substantially sized roll arms are accented with bronze-tone nailhead trim. 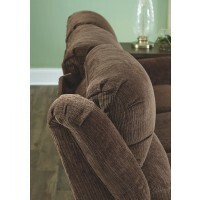 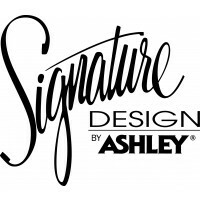 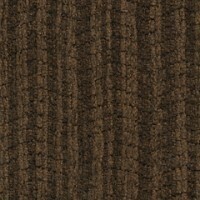 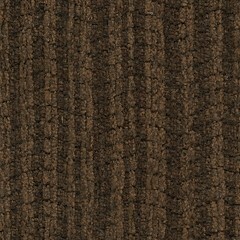 Chocolate brown herringbone chenille fabric is so soft to the touch. 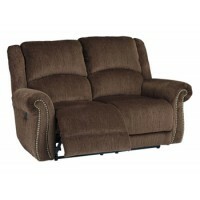 Adjustable headrest gives you the authority to choose your comfort level. 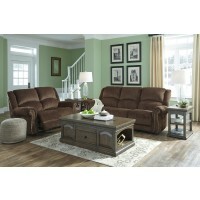 One touch power control and USB port are all the more enticing.